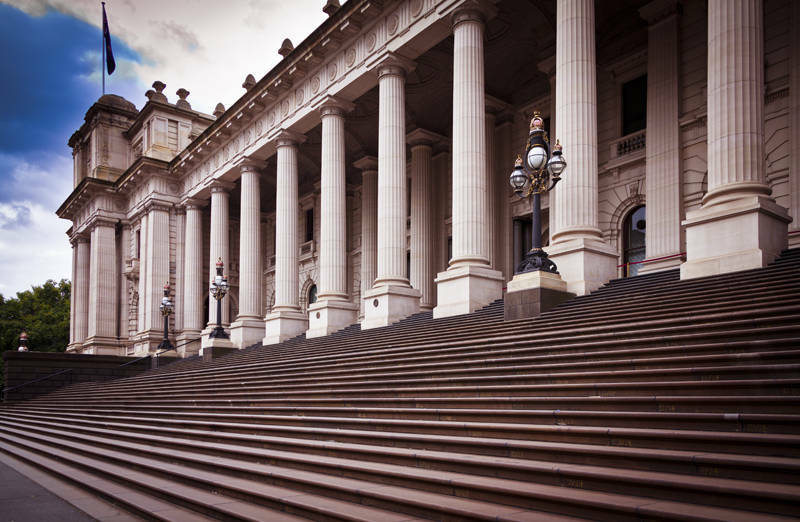 This building is Melbourne Parliament House in Victoria, Australia. From 1901 to 1927 it was used by the National Government before it moved to Canberra. In that time the Victorian Parliament met at the Royal Exhibition Building.